The Marriage Act 1961 and the Marriage Regulations set out the requirements for legal marriages in Australia. 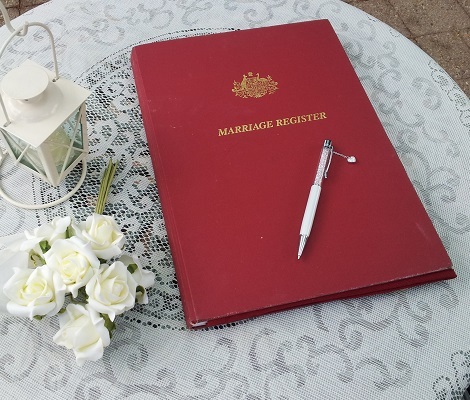 This legislation states that an authorised marriage celebrant performs a marriage ceremony. I am an authorised, Commonwealth-registered Marriage Celebrant (CMC) and perform legal marriages for all people. My wedding ceremonies ensure that your marriage is valid. I also observe the requirements of Copyright in ceremonies as well as a range of Fair Trading, and Workplace Health and Safety legislative requirements. 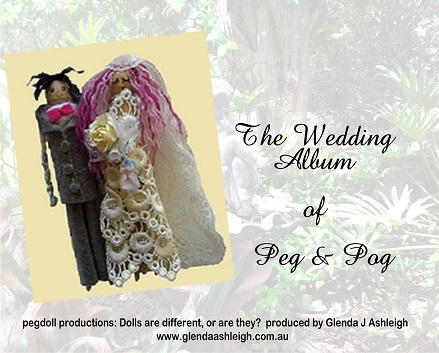 As a member of The Australian Marriage Celebrants Association Inc. I follow this association’s Code of Ethics which supports the Commonwealth Code of Practice for Marriage Celebrants. What legal documents do I need before I get married? You must produce official certificates issued by the registering authorities. Go to the Resources and Links page for web sites of Australian registering authorities. Note: All documents must be in English, or have attached to them a certified English translation. Main legal identification (ID) document. This is either your Birth Certificate or Passport. Another legal identification (ID) document showing your photograph and your date of birth, eg a Driver’s Licence or Proof of Age Card. Legal Divorce Certificate/Death Certificate of previous spouse (husband/wife) if previously married. Change of Name Documents if name previously changed by legal action. When do we confirm our wedding ceremony booking? You confirm your wedding ceremony booking with me when I receive the *Notice of Intended Marriage, and you accept the Conditions of Service, and I receive the booking fee of $200. The total quoted price for your ceremony includes this booking fee. Complete your *Notice of Intended Marriage at least one month before the ceremony date according to legal marriage requirements, to begin the legal process. Are you in a hurry? You can apply for a shortening of time once you have lodged the Notice of Intended Marriage with me. What happens after we confirm our wedding ceremony booking? We create the ceremony that is right for you! We communicate by e-mail (unlimited) and phone to craft a wedding ceremony of your choice. Everyone has different ideas about their ceremony and no two ceremonies are the same. When do we finalise our wedding ceremony arrangements? We meet prior to the ceremony to finalise arrangements. I witness both of your signatures on the Statutory Declarations. These Declarations appear on the back of the Marriage Certificate. Finally, we agree on the ceremony format and arrangements for your ceremony. These are set out in the agreed Terms & Conditions of Service document. What legal documents do we sign at the wedding ceremony? The two parties to the marriage, two witnesses and celebrant sign three (3) marriage certificates at the wedding ceremony. These are: the Marriage Register, the Official Marriage Certificate (on the back of which are the previously signed statutory declarations), and the ‘presentation or ceremonial’ Marriage Certificate. Do we need in Interpreter at the Ceremony? The law requires that an interpreter translates the ceremony for either party where either or both do not speak English. The interpreter signs a Statutory Declaration before the ceremony and a Certificate of Translation following the ceremony. What certificate do we receive at the wedding? I give you Form 15, the ‘presentation’ or ‘ceremonial’ Marriage Certificate on your wedding day. This certificate shows my full name and marriage celebrant authorisation, full names of both parties, address of the ceremony, and date of the ceremony. The two parties, two witnesses, and myself sign it and it is a legal document that is evidence of the marriage. Note: The ‘presentation or ceremonial’ Marriage Certificate is not an Identification Document (ID) as it does not contain any personal information such as your birth date or other information that identifies you personally. Apply to the Births, Deaths and Marriages Registry in the State/Territory in which the marriage ceremony took place for a certified copy of the Official Marriage Certificate. This document has all your personal details and is accepted as a legal Identification Document. When is the marriage registered? As your Celebrant, I lodge the completed official documentation with the Registry of Births, Deaths and Marriages in the State/Territory in which I conduct your wedding ceremony. I lodge all documentation no later than the next business day following the ceremony. According to the law, I must lodge all documentation with the Registry within 14 days of the ceremony date. The Registry staff process and register the marriage documentation. How do I change my surname/family name after marriage? The law does not require you to change your name when you marry. Your identity is the same as it was before your marriage. You can use your spouse’s (husband/wife) surname/family name, or any other name. This is lawful, providing you do not set out to defraud or mislead anyone. You can change your name of repute (reputation). This is done by informing people that you wish to be known (your reputation) by a different surname/family name. Purchase a certified copy of the Official Marriage Certificate from the Registry of Births, Deaths and Marriages of the State/Territory in which you marry. Institutions and agencies such as banks, insurance companies, etc, usually require this certified copy of the Official Marriage Certificate to support a change of name. Apply to the Births, Deaths and Marriages in the Australian State/Territory of your birth to change your name by legal process. Either purchase a Certified Copy of your Birth Certificate showing a notation of your new name, or apply for a Change of Name Certificate. Who do we need to inform after our wedding? You change your legal status when you marry. You are a person in a legally recognised relationship, that of marriage. Inform The Australian Electoral Commission and The Australian Taxation Office of your marriage as soon as possible after your wedding.